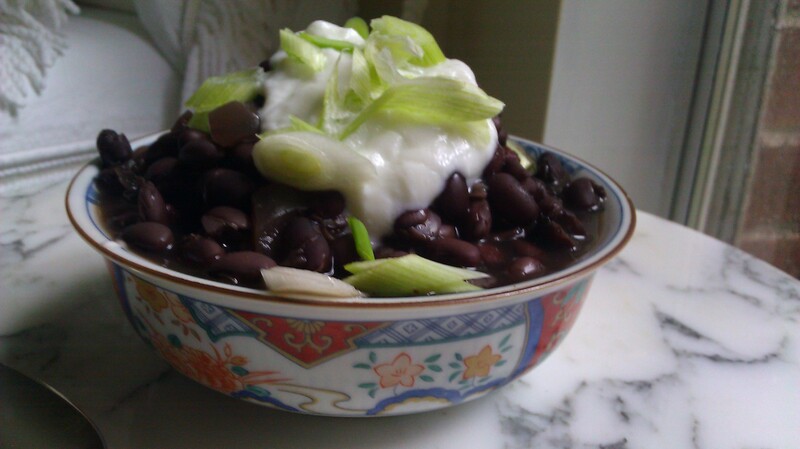 Big-Flavor Black Beans | happyspinach etc. Rain, rain, rain. I love rain dearly–the moody atmosphere, the guttural thunder, the edgy lightning; but the dark cloud cover can sometimes impede on my natural light… Unfortunately, this has been the case for the past few days, and every attempt in a new post has ended with photos of unfocused dishes with unnatural golden hues. Thankfully, I was able to snap a few decent photos of these wickedly delicious black beans. With all of the dark natural light, I have been wondering one thing. What do I do when winter comes ’round and I want to take pictures of my dishes? If anyone has any tips on what the best lighting is besides natural, be sure to add them in the comments below. I’ll definitely need them! Let’s talk about these beans. Their recipe originates from my favorite Mexican restaurant, Chevy’s. Chevy’s food is fun, flavorful, and fresh; and these beans are no exception. Flavor is thrown into the pot right when the cooking starts, allowing the beans to soak up tons of goodness from the spicy broth. I like to serve them with some Classic Mexican Red Rice (https://happyspinach.wordpress.com/2012/08/08/classic-mexican-red-rice/), scallions, and a fresh tortilla (Bonus points for homemade! https://happyspinach.wordpress.com/2012/05/24/soft-whole-wheat-flour-tortillas/). In a large, heavy-bottomed pot, soak the beans overnight in the water (enough of the water to cover). The next day, add the remaining ingredients, except the salt. Bring to a boil and stir. Let the beans simmer, covered, until firm yet tender, about 1 1/2-2 hours. If the beans need more water, add more 1/4 cup at a time. When the beans are done, add in the salt and simmer another minute or two. Keep warm until ready to serve, and store covered in the refrigerator for up to 3 days. 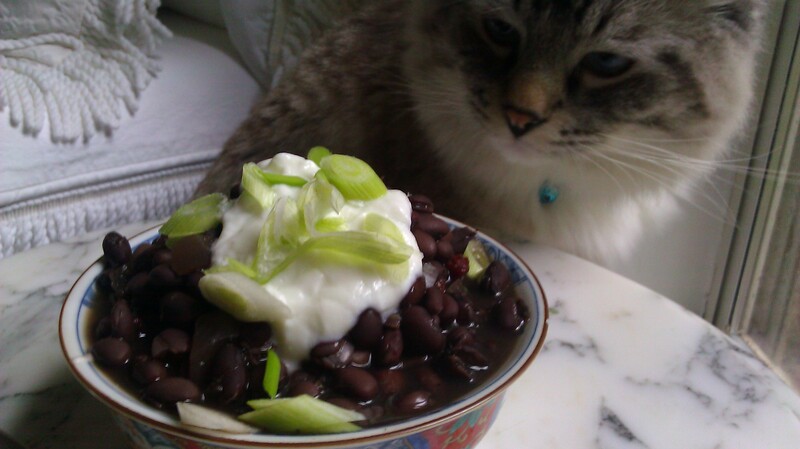 This entry was posted in Black Beans, Freezer-Friendly, Garlic, Legumes, Mexican and tagged Beans, Easy, Mexcan. Bookmark the permalink.